North Dakota energy curriculum is available through North Dakota Studies at the State Historical Society of North Dakota. 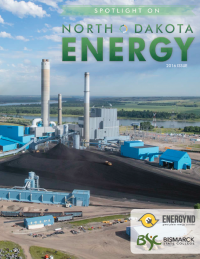 ENERGY: Powered by North Dakota was developed through a partnership between the North Dakota EmPower Commission and the Great Plains Energy Corridor. 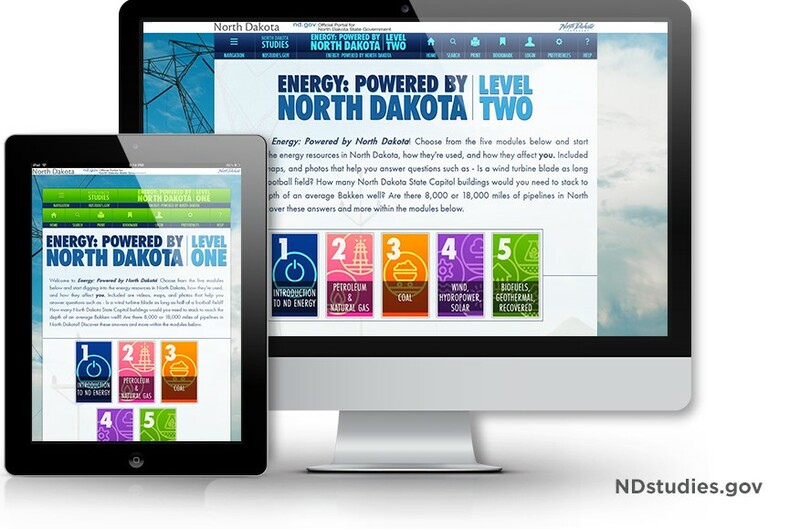 Visit www.ndstudies.gov and click the “Energy” button to enter Level 1 Curriculum (4th grade social studies and science standards) or Level 2 Curriculum (8th grade social studies and science standards). Five modules make up the two-week unit of North Dakota-specific energy information which will help teach students about the resources right here in our state, how they’re used to produce energy, and how that affects us as citizens. See the tabs below for more details on the energy curriculum. Watch electrons flow in an animation tool created by Bismarck State College. This tool is embedded throughout the site to reinforce concepts with various industry sectors. Have advanced students? Take it further using Bismarck State College animations and simulations located at https://www.bscnecelabs.net/energynd/. Apply advanced mathematical theory on renewable energy using Bismarck State College solar and wind output from resources on campus. This current and historical information is available to the public at https://www.bscnecelabs.net/gridlab/. For classes that need in-hand materials for small-group projects, presentations, etc., request a classroom set of Spotlight on North Dakota Energy, which is designed to complement the curriculum by providing additional up-to-date information and resources.